Ceremonies and rituals are to enrich a person’s life and often serve as sources of guidance to reach or celebrate personal goals and life milestones as they provide a safe space for powerful transformation to occur. This full day training is for those who want to awaken their creative intelligence to crystallize thought in the creation of ceremonies and rituals for healing and transformation. This is not a class on magic spells, sorcery or black magic. However nature spirits, elementals (plants, crystals, animals, earth based elements), angelic, spiritual, religious symbols may be use in the creation of rituals and ceremonies. The principle of study is that rituals and ceremonies are a marriage of prayer and action, where words give meaning to actions and actions give substance to words. The class covers space clearing, protection, opening and closing a ceremony, grounding exercises, casting a circle, meditations and visualizations, moon cycles, healing, cleansing, blessings, symbolic actions and dedications, anointing, dance, using the voice, making sacred objects and more. 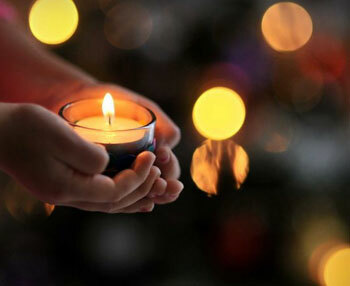 This class also explores opportunities in you daily life to use ritual and ceremony for deepening your spiritual connection and dealing with life's changes or to mark and honor any event or special moment in your life. Students will gain understanding of what is essential to create ceremony, from the act of expressing physical form to the process of using form to symbolize and/or manifest something in their life or the clients’ life. Tapping into the creative imagination to bypass the conscious, linear mind and allowing the heart to speak directly with the universe/source/Spirit Allies, they will learn to create rituals and ceremonies for different purpose. By the end of the class students will have established a partnership with the source of wisdom in alignment with their own belief system. They will be able to create rituals and ceremony, to make themselves or their clients feel spiritually nourished, profoundly transformed and aligned more clearly with their purpose. By creating our own ceremony we too can reconnect with the earth, empower ourselves, heal, and transform into more balanced humans. In a safe a sacred space your will enjoy a rewarding spiritual experience as you develop new skils and deepen your partnership with Spirit. After the class your teacher is available via email or phone to support you on your continuing development. Your communication is always confidential and you have peace of mind of knowing that you have a knowledgeable and experienced teacher to turn to for help. 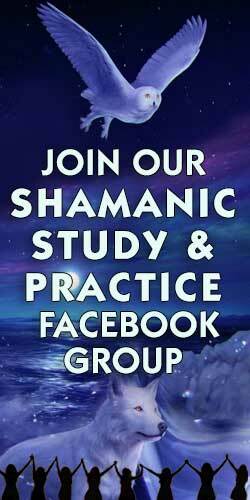 You also have the opportunity to attend the monthly Shamanic Study and Practice circle on the Fourth Friday at the United Presbyterian Church on Seaside Avenue in Milford CT. This circle is dedicated to develop Extra Sensory Perception using Mastery of Awareness methodology and honoring our partnership with Spirit using our creative imagination. Please contact intructor for details and/or join Facebook group for announcements, mini Playshops, and other events.